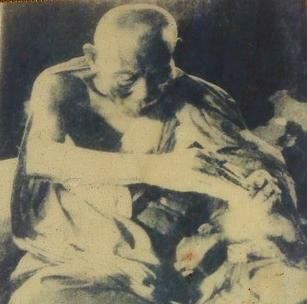 Luangta Ma’s original name is Varongkot Suwannakun. He was born on November 23rd 1934 in the Noraniwat district of Sakon Nakhon, a north-eastern province of Thailand. His father’s name is Wandee Suwannakun and his mother’s name is Sorpar Suwannakun. His parents had three children of which Vorangkot was the second. Luangta Ma has been a lay disciple of Luangpu Du and practised meditation under Luang Pu’s guidance for more than 20 years. 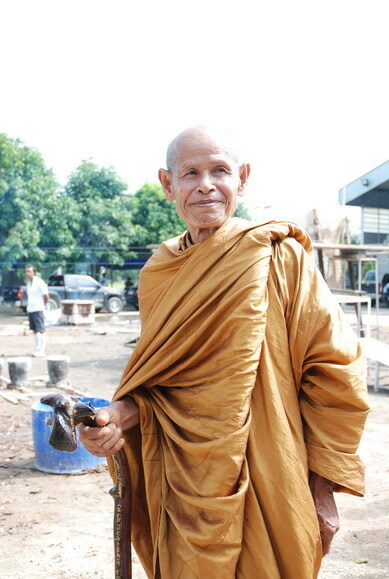 When his teacher was over 70 years old, he implored Luangta Ma to ordain as a monk. Luangta Ma complied with his teacher’s wish. He was ordained on Sunday, July 24th 1988 at 10:06 AM at Wat Buddhathaisawan in the Ayutthaya province. 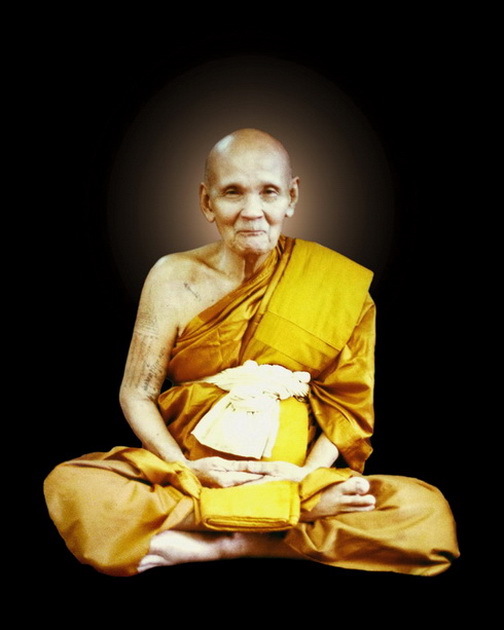 Venerable Ajahn Pathrakit (Luangpor Huan), the abbot of Wat Buddhathaisawan, was the preceptor of the ceremony. 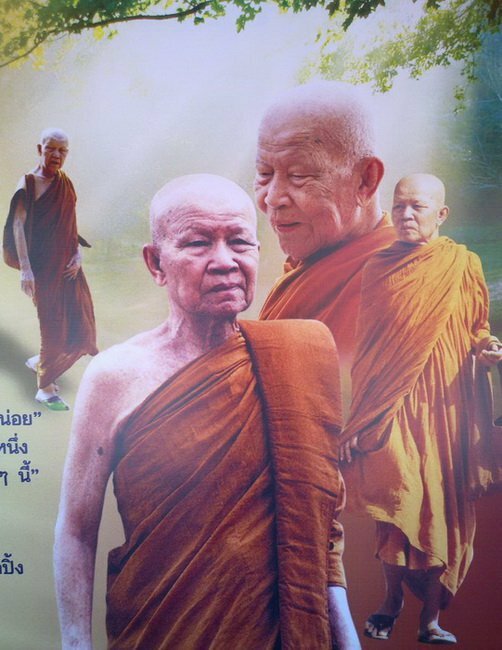 Venerable Ajahn Suangthorn Dhammanithed (nicknamed Boonsong) acted as first ordination teacher and Venerable Ajahn Pichit Kitarthorn (nicknamed Sanae) acted as the second ordination teacher. 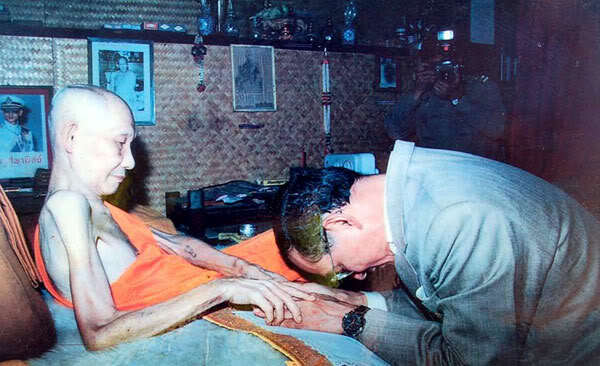 After Luangta Ma spent one lent in robes, he went to pay respect to Luangpor Huan and asked his permission to leave the monastery in order to go on a pilgrimage. He also took the Thirteen Austere Practices, which constitute an ascetic practice considered helpful by the Buddha for removing the defilements. Luangpor Huan gave his consent, upon which Luangta Ma went to pay respect to Luangpu Du at Wat Sakae. He arrived at night time when Luangpu Du was the only person residing at the abode at Wat Sakae. Luangpu Du gave him a sermon and wished him well. He finally added: “Wherever you stay, I will be with you. Take this amulet. If you need my assistance, just turn to the amulet.” With these words he gave him an amulet with Luangpu Du’s image imprinted on it, some travel utensils, and 500 Baht in cash. Luangpu Du told Luangta Ma to go up north, yet he did not state any reason for it. In the morning, Luangpu Du sent a monk to bring Luangta Ma a lunch box, since he knew that Luangta Ma was too busy with preparations that morning and didn’t go on alms round. After these events, Luangta Ma followed his master’s advice and went north. He became a solitary wandering monk and practised Tudong (pilgrimage on foot) through northern Thailand for several years. He often lived in caves to practice meditation. He experienced many odd and unusual occurrences during this time. One day he reached Prathat Jomjaeng which was formerly known as Prathat Jomkithi. At this place, he meditated in the open and prayed to find a secluded place suitable for solitary meditation. Miraculously, an old man appeared in the morning and told Luangta Ma about a remote cave in the forest of Muang Na. If it wasn’t for the old man’s story, he would moved onwards to the Four Buddha Footprints in Mae Rim. Luangta Ma, however, decided to follow the old man’s lead. He sought the cave which the old man had told him about and -while on his way- asked Luangpu Du for guidance through serene contemplation. It wasn’t long until Luangta Ma found the cave, which the locals simply called Muang Na cave. The cave was exactly as the old man had told him. When he arrived there, Luangta Ma took up mediation and contacted Luangpu Du through contemplation. In 1990 it became known to Luangta Ma that Luangpu Du had left his physical body. He went to Ayutthaya to join the royal funeral ceremony. After the ceremony, he returned to the Muang Na. Since then Luangta Ma practised solitary meditation at the cave for more than ten years. During this time he was supported by the Thai and Shan villagers who live in the Muang Na area. Originally, Luangta Ma set out to seek enlightenment in this life, as epitomised by the Arahat ideal. Yet, when he advanced his meditation practice, he connected to previous stores of Bodhicitta. He felt deep sympathy for all beings and prayed to stay on, rather than to pass into Nirvana, in order to help all beings in the heaven, human, animal, and hell realms. Consequently, Luangta Ma decided to give up the solitary life in order to help others to practise. He began building a temple around the cave in Muang Na. At the same time, he started to teach the Dhamma to people who came to the temple and he instructed them in meditation practice. In recent years, Luangta Ma was able to attract a considerable following. He is now widely recognised in Northern Thailand; he is also known for his great kindness. It is obvious to his students that Luangta Ma follows the ideal of the Bodhisattva. He teaches the Dhamma to his students, as well as meditation and amulet making in the tradition of Luangpu Du. Thus Luangta Ma continues the lineage of his great Ayutthayan master Luangpu Du. Phra Ajahn Plien Panyapatipo (Wongsachan – family name prior to ordination) was born on 16 November 1933, year of the rooster, at Koakdon Village, Koaksi Subdistrict, Sawang Dandin District, Sakon Nakon Province. His father’s name is Ging; his mother’s Oradee. 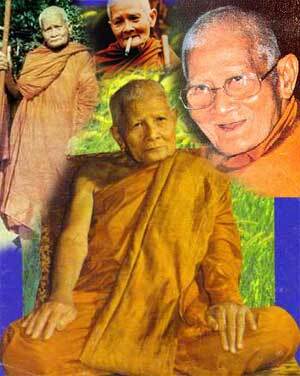 Phra Ajahn Plien has five brothers and one sister. He is the third child of the family. His grandfather, Koon Joonratchapakdi, and his grandmother raised him since young until he finished primary four. Once he turned 11 years old, his mother asked him to help his father on the family business. 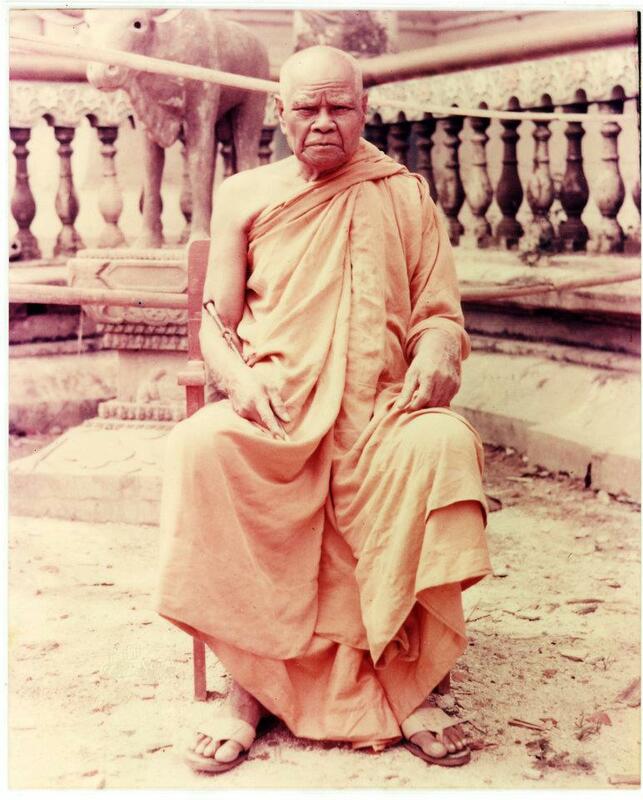 Phra Ajahn Plien gained an interest in medical practice when he was 18 years old. He started to treat patients under the guidance of a district doctor who was his relative. He also had a plan to pursue his study in Medical at Chulalongkorn Hospital in Bangkok but his mother preferred him to help the family business. 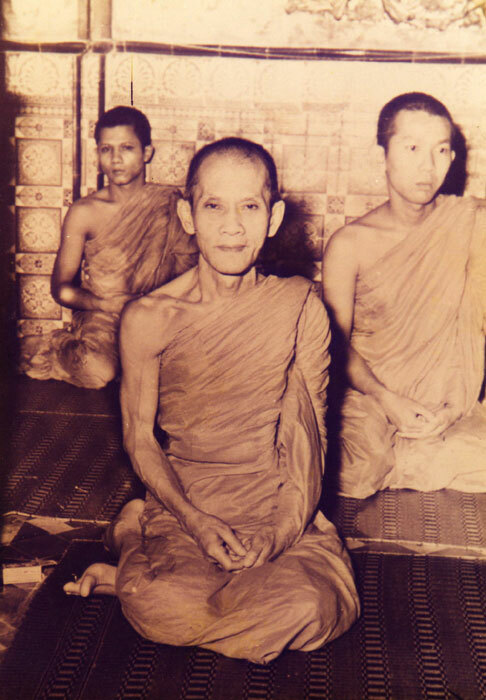 Phra Ajahn Plien wanted to enter the monkhood since he was 12 years old. However, his ordination took place on 31 March 1959 (25 years old) at Wat Tat Mee Chai, Koak Don Village, Koak Sri Subdistrict, Sawang Dandin District, Sakon Nakon Province. Phra Kru Adul Sangkakit was his preceptor. Phra Kru Pipit Dhamma Soontorn was his ordination-proclaiming teacher and Phra Ajahn Suparb Dhammapanyo was his teacher for the formal words of ordination. 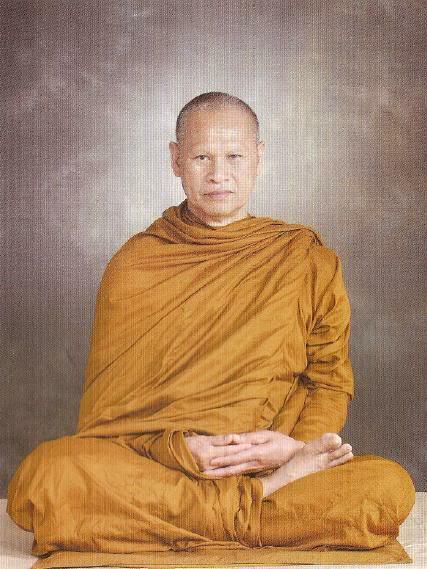 Phra Ajahn Plien passed the third level of Dhamma Doctrine exam three years after his ordination. After his first rain retreat, Phra Ajahn Plien started his austere practice to search for salvation in various provinces and met many renowned teachers in northeastern, southern, and northern part of Thailand. But the teachers whom Phra Ajahn Plien received tutelage for his Dhamma practice from and served closely were Luang Puu Prom Jirapoonyo, Luang Puu Tate Tate-rangsi, Luang Puu Tuer Arjaladhammo, and Luang Puu Waen Sujinno. Other teachers included Phra Ajahn Juan Kulachetdho, Luang Puu Khao Analayo, Luang Puu Kamdee Papaso, Luang Puu Chob Thanasamo, Kruba Intajakraksa Intajakko, Luang Puu Saam Akinjano, Phra Ajahn Won Utamo, Luang Puu Waan Dhanapalo, Luang Puu Parng Jittakutto, for example. All teachers had kindly taught Phra Ajahn Plien and led him to good progress in his Dhamma practice. 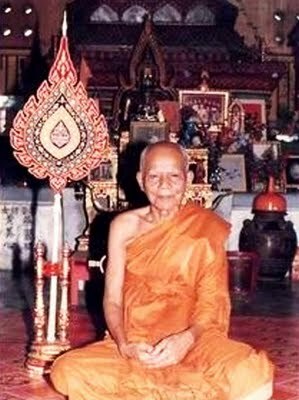 Long Phor Veerai Wat Tham PaaYaChangPhueak born on 2nd December BE2476 (Year 1933). LP Veerai ordained as novice since the age of 16 years. LP Veerai ordained as a monk on BE2501 at the age of 25 years. 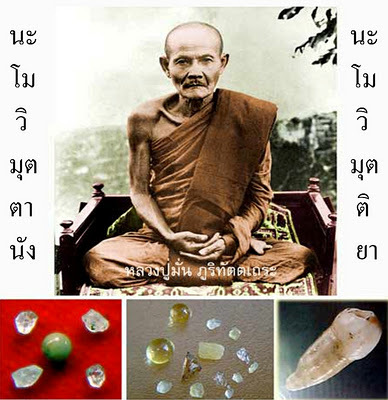 LP Veerai is the disciple of Long Phor Khao Wat ThamKlongPheng and followed him for more than 10 years. During BE2517, LP Veerai left Wat ThamKlongPheng to continue his study. LP Veerai appointed as the Abbot of Wat Tham PaaYaChangPhueak since 1st January BE2528.